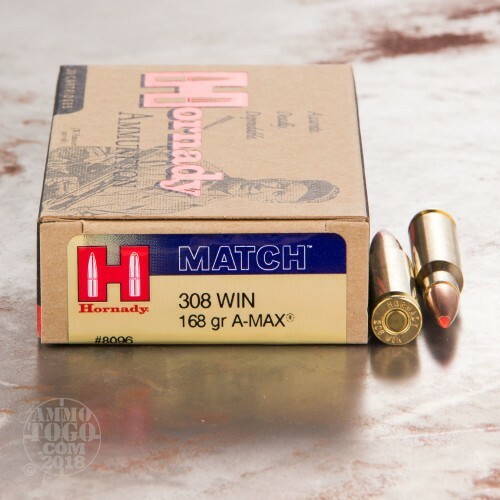 This is .308 Hornady A-MAX Match 168gr. Ammo. The 168gr. 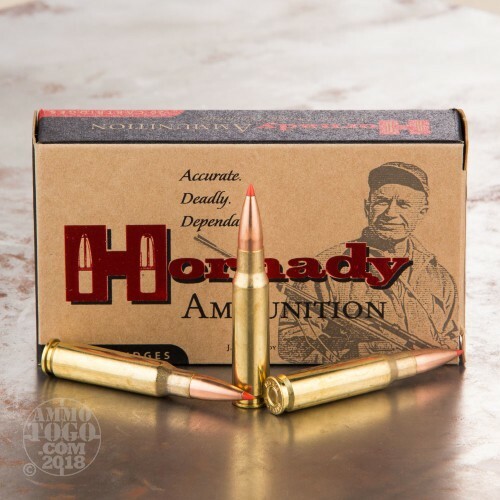 A-MAX Match bullet is a traditional match grade weight with the advantages of a polymer tipped bullet’s terminal performance. 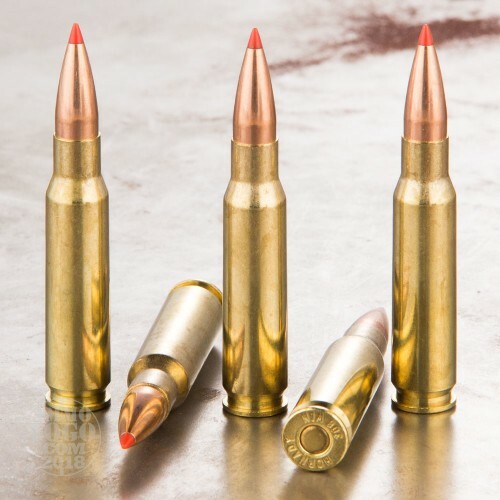 This match grade bullet demonstrates an increase in penetration and retained weight. 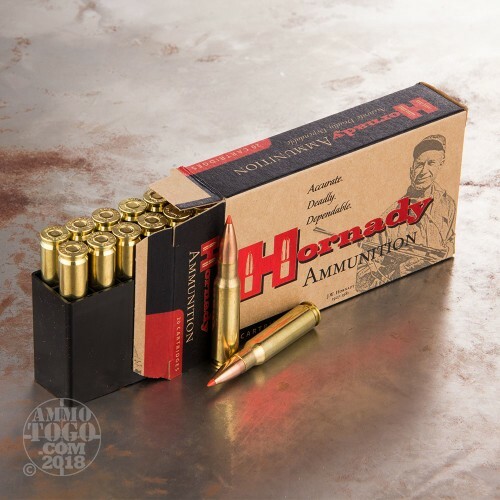 This ammo is packed in the 20rd. boxes. posted on 6/2/16 by Cody G.
Fired from a Ruger American Predator delivered a 3/4 MOA group but I suspect it can do better I was prone uphill wasn't the most comfortable shooting position very happy hope it has good terminal ballistics as well. posted on 11/12/15 by Tim c.
Shoot this round exclusively from a Remington XCR Compact Tactical. It will cover a nickel at 50 yards all day. At 100 yards it sometimes opens up to a quarter (but it's rare). Very clean, extremely accurate. The only downside is the price. At 500+ yards it still feels very accurate (never measured) hitting torso sized targets.